Remember the good old days when you could just drive anywhere without having to worry about where you were going to park? Or if you could afford it? There were no parking meters or rangers handing out huge on-the-spot fines and a space at parking stations didn’t use to cost anything like as much as garaging your car at the Ritz. These days the despairing motorist is often reduced to calculating which offers the cheaper deal: the fine or the parking station. Finally, relief for motorists is at hand. Kerb have come up with a brilliant breakthrough idea that offers a range of parking options at prices that are much cheaper than local councils and parking stations, and what’s more, they’re readily available. 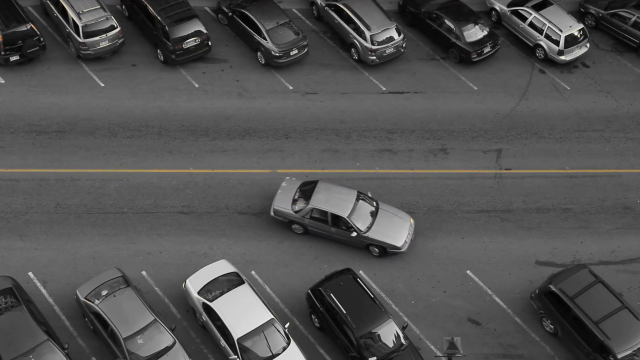 Kerb is an international Aussie business that’s leading a worldwide revolution in parking. If you own a garage, a driveway, a backyard, a shed or just a space that is spare and offers easy access for parking a car or a cycle, you can instantly convert it into an earner by registering it with Kerb. An inner-city location guarantees strong revenue potential. If it’s near a hospital, a theatre or a sports stadium the potential is even greater. Kerb also allows churches, schools, hotel, sports clubs and other organisations that have car parks to list their empty spaces when they’re not being used. You simply register your space on the Kerb app and wait for the parking revenue to roll in. Motorists who have registered on Kerb as parking space renters can check the app for suitable parking opportunities at their destination, make a booking and enjoy hassle-free parking at affordable prices. The space provider receives his fee less 20% retained by Kerb and the space renter gets a great parking deal. It all works very much like Uber. Space providers benefit from incremental income to pay for Christmas, a holiday or a new car. Further, they are providing a new dimension in parking choice that’s long overdue. Motorists get their freedom back. They can opt to drive virtually anywhere at any time secure in the knowledge that they will be able to find parking at a rate that doesn’t make it prohibitively expensive to enjoy things like going out for dinner or to the theatre. Governments love the concept because it helps to get traffic off the streets. Local councils may experience a slight drop in parking fine revenue but they’ve got to appreciate the increase in parking capacity. Inner-city parking stations are well overdue for some strong competition. This new Kerb concept benefits virtually everyone so it’s not surprising that countries like Ireland, the Netherlands and Scotland are adopting it at as fast a rate as Australia. The other great thing about Kerb is how easy it is to join up. Once you’ve realised you’ve got parking space with earning potential just sitting out there you simply go to www.kerb.works, fill out the registration form, enter a password and then you source the Kerb app with your space listed on it. Alternatively, you can register via a link to your Facebook login. You decide on the rate to charge for your parking space based on a pricing guide supplied by Kerb. Motorists can register to rent low-cost parking spaces and source the Kerb app to go on their smart-phone in much the same way. Now is the time to get in on the ground floor of a concept whose time has truly come. Fifty thousand parking space providers have already signed up across Australia. At last, there’s a Kerb you can always rely on to be available for low-cost easy parking or a new source of parking income.